OK! Are you ready? Here we go! 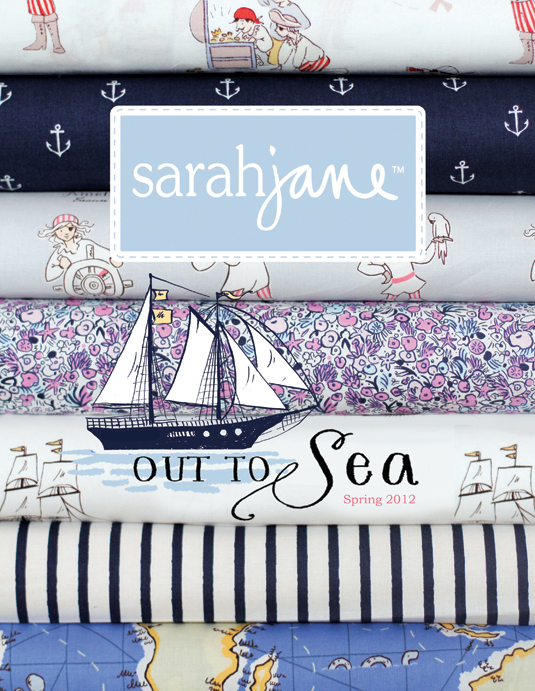 Introducing OUT TO SEA.....my latest collection with Michael Miller Fabrics. Out to Sea has been on my mind for oh....maybe a year and a half now. I finally put it all together into 3 colorways, each telling a great story. Golly! Where to start. I never know where to start...especially knowing this is your first introduction. Say hello! Let's start with pictures, shall we? So, do you have a minute? There is so much I want to tell you and show you...and I have a feeling that I won't be able to do it justice all in one post. 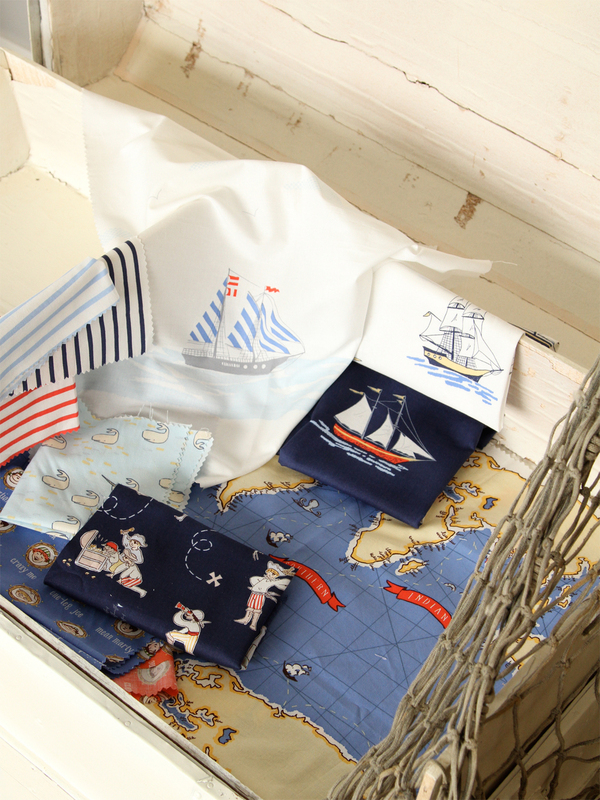 So....when I was designing this collection, I paid a lot of attention to the classic elements of Maritime Fancies....but also to how children imagine and play. 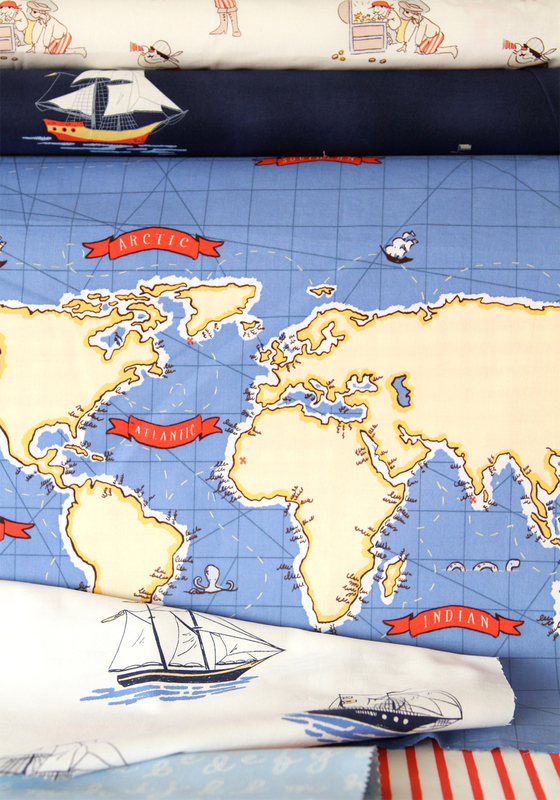 This map print is a good example of that...perfect for running fingers through the ship paths (the above picture is embroidered by the way....the real fabric has printed dashed lines:) So this collection really has a good mix of larger scale fabrics, and small....which is my way of encouraging lots and lots of variations in project making. 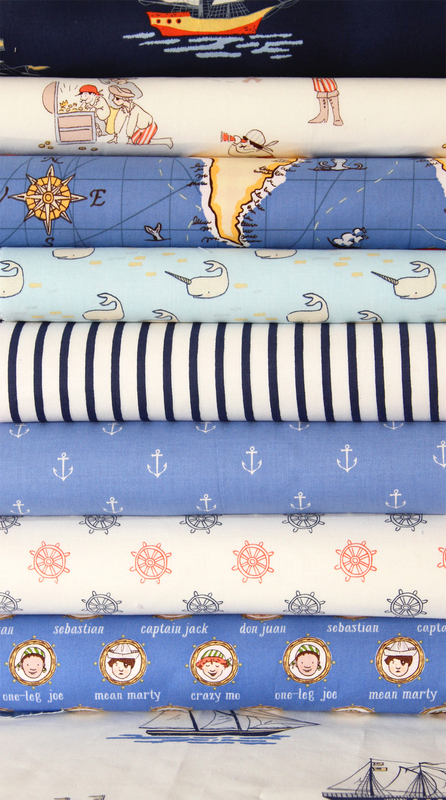 Every child dreams of adventures on the sea...and this collection is my offering to the whimsy of maritime travel. What I love about this fabric, is that it's considered quilting grade fabric, but the weave is a new quality called Cotton Couture, and is much, much softer and lighter than the traditional quilting grade. But....it's not 100% apparel grade either! I've been sewing bedding and quilts all week, and it's amazing to home dec, quilt and apparel with. My, my, my. I'm in love. So wow! Here it all is! I am running out of time, as my fingers are itching to finish up projects and get to Quilt Market! Can I show you more later? There is so much to play with, and I wish I had time for all my ideas! So, wish me luck at Quilt Market!! I'll be thinking of all of you back home seeing this for the first time! 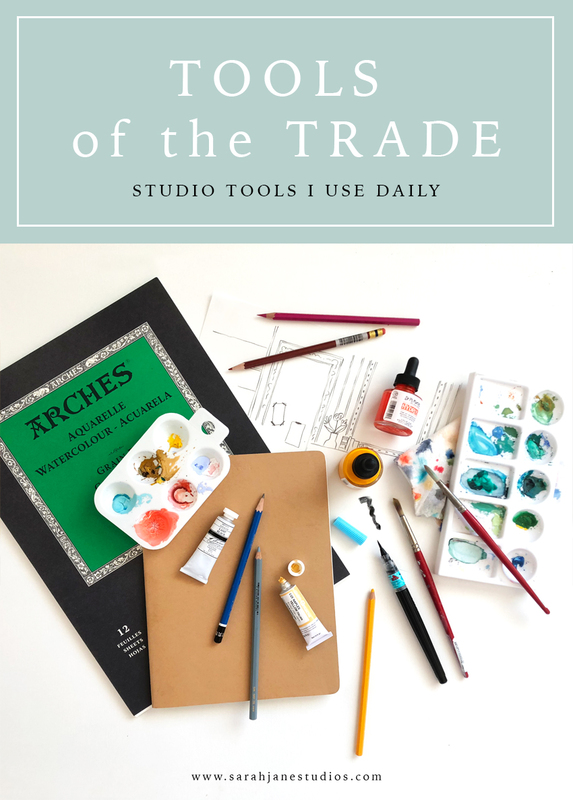 It's always such a weird feeling to hit "Publish" on a post like this....hoping that a year's worth of color and design that has been stewing in my head is something you can get to know and love too! More to share soon! 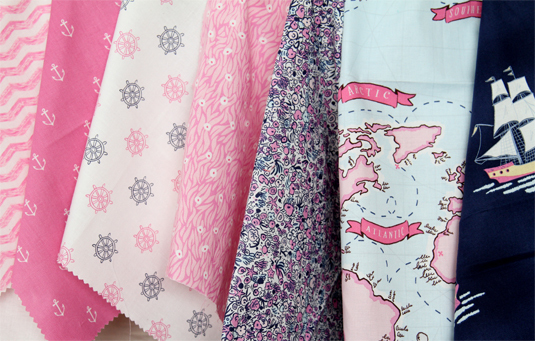 I want to dive in deep with you all and show you how much fun I've been having with this fabric. And PS: because I know you will ask, this fabric will be in stores come Aug 1. Scheduling fabric releases is a very huge process, and there is so much time involved. 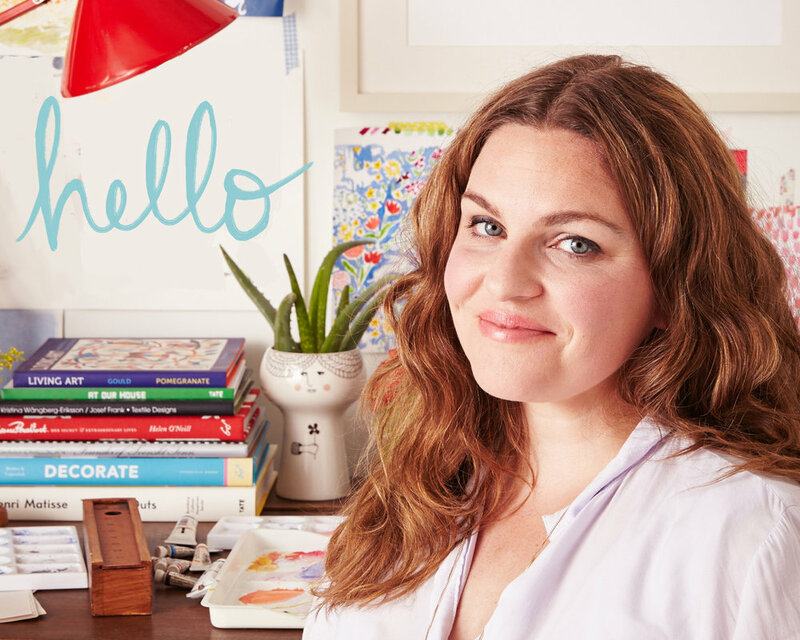 But I'm going to be sharing tours of ideas (more on this later) to help you get ideas for what you can do with this collection so you are ready when it is available!